The Universe works in mysterious ways sometimes and some things are just meant to be. Long story short, I was going to tag along with my sister on a work trip to Europe, but a couple of weeks ago, her dates got changed and I can’t go with her anymore. At first I was sad, but then my friend Sapna had asked me to go to the Dominican Republic with her on a blogging trip. I had to pass up at first because the dates were the same, but since the other trip fell through, I’m now going to the Dominican Republic! I guess it really was meant to be that I go to the DR because I received this stunning turquoise Larimar Ring by Larimar.com. I’m seriously obsessed with it!! You can only find this gemstone in the DR and it’s considered the Apex of turquoise stones and said to have holistic healing attributes. It’s other name is called the Stone of Atlantis and said to be a part of the legendary city of Atlantis. Each piece of jewelry from the shop is unique with handmade craftsmanship and the best part is free shipping worldwide! The ring itself is lightweight and even more eye-catching in person. It’s a statement in its own, so you don’t need to wear a lot of other jewelry pieces along with it. 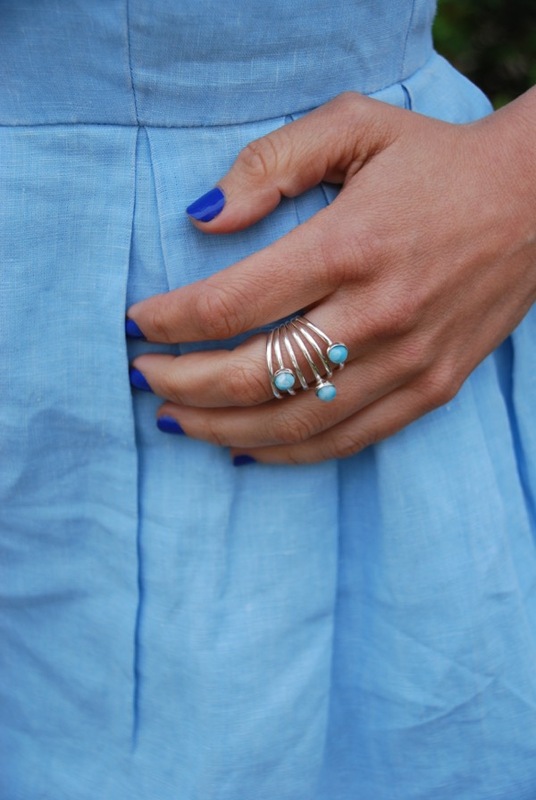 I’m definitely going to be wearing this ring all summer long and I can’t wait to blog about my trip to the DR – stay tuned! *Thank you Larimar for collaborating with me on this post. All opinions are my own.